Lot 34, The Divide. End of the day number 10 for construction of The Appalachian. 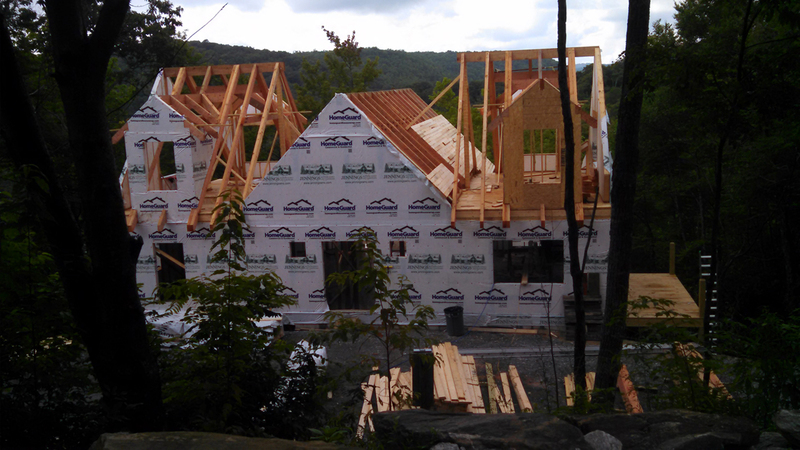 All trusses and beams in place. Roof tongue and groove being applied. Construction is right on schedule, actually a bit ahead.